According to Indonesian law, private companies are subject to hiring people with disabilities for at least 1 per cent of their staff. The law was updated in 2016 but it remains ignored as of today. People with disabilities are still overlooked in working places and many other aspects in life. 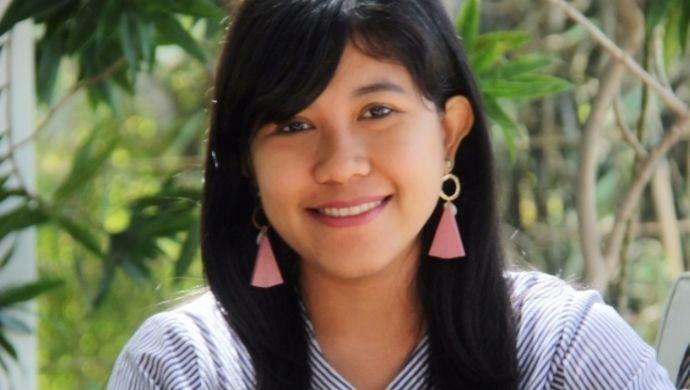 Appalled by how people on the disabled spectrum are regarded in the country, Ni Komang Ayu Suriani decided to form Diffago in 2017. In 2018 she decided to run it full time. “I found it funny how companies have so many wish list when it comes to hiring people with disability, such as not blind, not deaf, no wheelchair, which sums up to no one eligible,” Suriani, who is nicknamed Suri, told e27 in a conversation. Diffago is an all-in-one platform that aims to assist people with disabilities to survive living in a not-so-disability-friendly country. “I was working in a job employment site for people with disability before running Diffago, and even then it was difficult to connect companies to them,” added Suri, who is the CEO. Initially, Diffago was meant to only connect companies to people with disabilities that needs employment. However, the company saw a different need that’s more complex than just a matter of employment. “We got a chance to be a part of an incubator program earlier this year called Rise Inc Unlimited with Instellar, and it opened our eyes to lots of possible ways we can help people with disabilities. It can’t be about employment issues only,” said Suri. Diffago decided to pivot its approach in March 2018 into an all-in-one solution platform, dedicated to helping people with disabilities according to what they need. Suri’s experience working closely with people with disabilities in the past helped her quickly pointed out what is the main issue that hinders them from having the best life quality. The company realizes that the difficulties in hiring people with disabilities rely a lot in those two issues. To tackle that, they aim to provide users with access to education by opening up individual crowdfunding, conduct training based on the highly needed skills and, finally, help them to get a secure job. “No more sewing and crafting session, it really is a waste of their time and potential to reduce them to that,” added Suri. She also noted the fact that giving these people an entrepreneurial pep talk is not a solution. The goal is there, the noble purpose is there, but nothing can happen without a significant amount of money. Even before being asked, Suri has shared with e27 how would they afford all of the extensive service. “We work with companies’ Corporate Social Responsibilities (CSR) [mandates]. It is a win-win, really. Most of the big companies follow the law by having a CSR division but they only do things that touch the surfaces and not the core of the problem, especially with people with disabilities,” said Suri. By leveraging on Diffago’s connection, these companies’ CSRs can better distribute the charitable cause and see the end results. About 10 million Indonesian people have some form of disability, which is 4.3 per cent of the population, according to a data released by the Australia Government and Monash University in Australia Indonesia Partnership for Economic Governance about Disability in Indonesia. “There really is no accurate data. One source said a number, the other said another. But it’s always a high percentage, and yet we rarely see them out and about,” said Suri. She believes that it’s largely caused by their incapability to contribute to current society. The company now manages six ongoing projects, and most of them are offline work. Suri mentioned a story of a 4-year-old girl named Made that has a congenital spine condition that doesn’t allow her to stand up without a leg crutch. CSR by Ting Web allowed Made to get a new crutch every four months because it has to keep being adjusted to fit the growing little girl. The company works with local organization that make or supplies good quality mobility aids like Puspa in Bali and Dare in Bandung. “We aim to have partners in every province in Indonesia to help the distribution of mobility aids to be even,” said Suri. The next move for Diffago is to start collecting and cultivating data that will reveal an accurate idea for how many people are affected by disabilities in Indonesia. It is important because it helps people to see what’s really going on in this world. “We also would really want to have a discussion with the government, for example with Social Ministry, so that we can have a level and transparent talk about how we can improve the qualiity of these deserving people’s lives,” said Suri. Next month, they will visit Bandung for a partnership with the local authority endorsed by the major of the city, Ridwan Kamil. It will bring around 60 people with disability for a face-to-face job interview with the retail minimarket Alfamart. The vacancy is also available for people with disability in the Sumatera area. In October, Diffago will be Bali’s representative for NextDev in the final round. Closing the conversation, Suri shared with e27 her hopes for the next six to seven years. “We see Diffago as a marketplace where people with disability can access what they need under one platform. We would also support people who can make a prosthetic leg, as they often lack market and proper promotion., when they have learned the craft from scratch,” said Suri. The post This Bali-based startup wants to create a more inclusive life for people with disabilities appeared first on e27.